A very attractive board for prep and presentation. 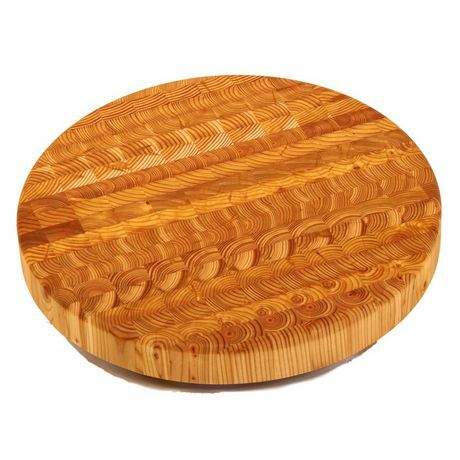 Easily portable with a variety of hor d’oeuvres or your favorite cheeses yet still having the renowned durability of end grain for chopping. 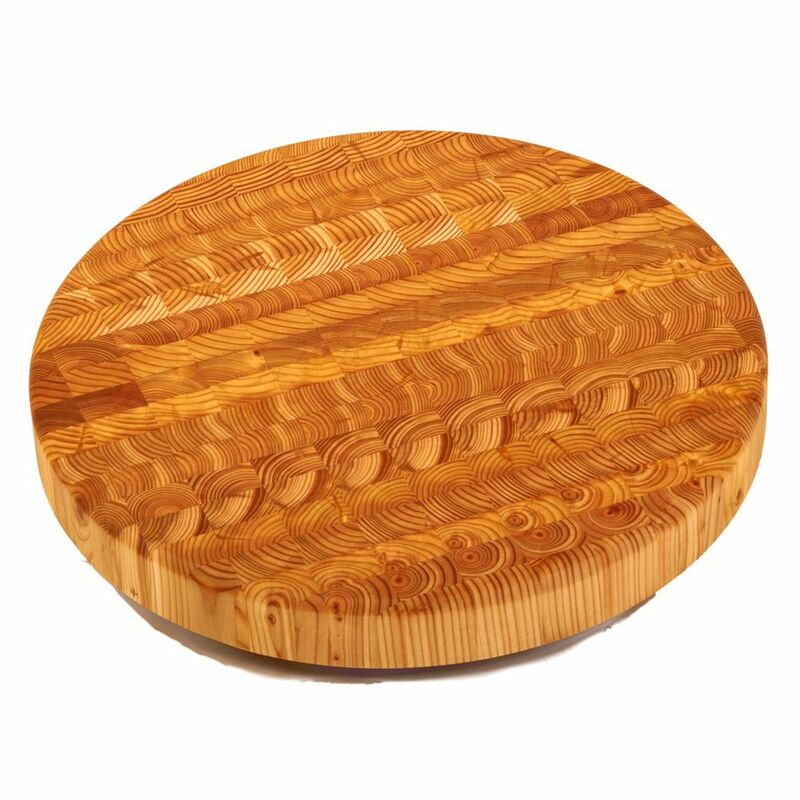 Larch Wood Canada specializes in creating beautiful 'end grain' cutting boards handmade from Eastern Canadian Larch. The end grain construction of the boards provides a tough yet forgiving surface when it comes to your knife edges.